RT Spanish reporter Boris Kuznetsov, RT Arabic reporter Hassan Nasr, RT cameramen Khaled Eldera and Ruptly cameraman Aleksandr Tikhomirov were shelled in Syria, while filming an area-captured from the rebels. In total 4 journalists were lightly wounded. The incident happened in the border village Kinsabba, in the Latakia province, which was being toured by a group of 33 journalists. Syrian state media reported the artillery fire came from southern Turkey, while the Russian media and ministry of defense claimed it was from the border region between those countries. A total of eight shells were fired by forces, which the Syrian military believe were members of Al-Nusra Front terrorist group. 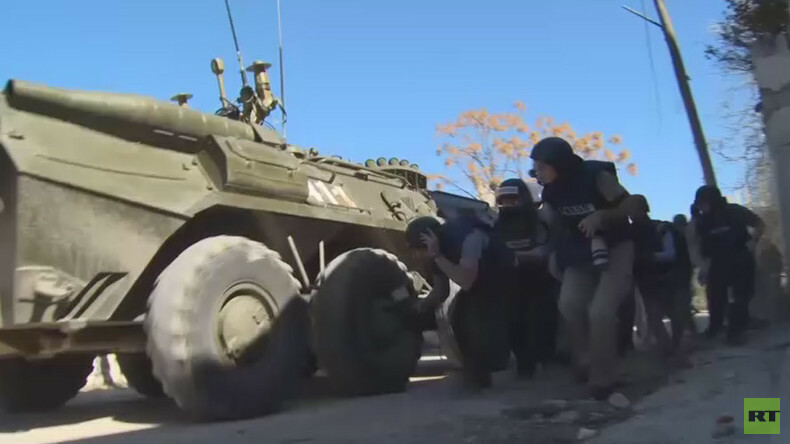 The shells landed some 150 to 400 meters from the main group, but a Russian, a Bulgarian, a Chinese and a Canadian journalists were treated by medics on-site. "In the morning, accompanied by Russian and Syrian servicemen, we were returning to Latakia from areas recently freed of militants. We saw the real extent of the damage in the villages in that area. 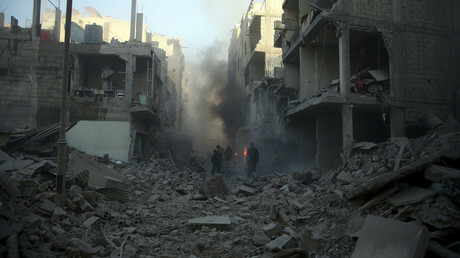 A lot of the houses are completely leveled," Hassan Nasr said on the phone. "Between that territory and the Turkish border there is a two or three kilometer space, and as the Syrian servicemen told us, that is where the Turkish authorities are hiding Islamic State and Jebhat Al-Nusra [Al-Nusra Front] fighters," Kuznetsov said. "We spoke to local residents, they spoke about their hopes for peace, and it all changed in the blink of an eye, we heard what could be artillery fire, or maybe they were grenades. Everybody fell to the floor. It was an adrenaline rush." Veteran Radio-Canada correspondent Raymond Saint-Pierre grazed his hand, knee and elbow, when panic erupted. "It was a horrible experience, we are barely recovering our hearing. We don't know which exact faction was responsible for the strike, but the fact that it is possible at all, says a lot," said Christoph Wanner, a journalist for the German N24 channel.